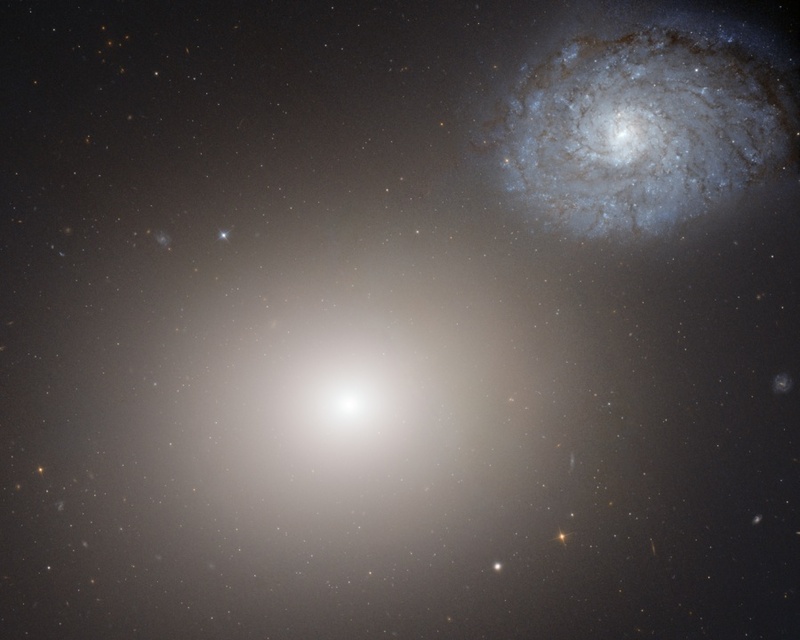 Explanation: Giant elliptical galaxy M60 and spiral galaxy NGC 4647 do look like an odd couple in this sharp cosmic portrait from the Hubble Space Telescope. But they are found in a region of space where galaxies tend to gather, on the eastern side of the nearby Virgo Galaxy Cluster. 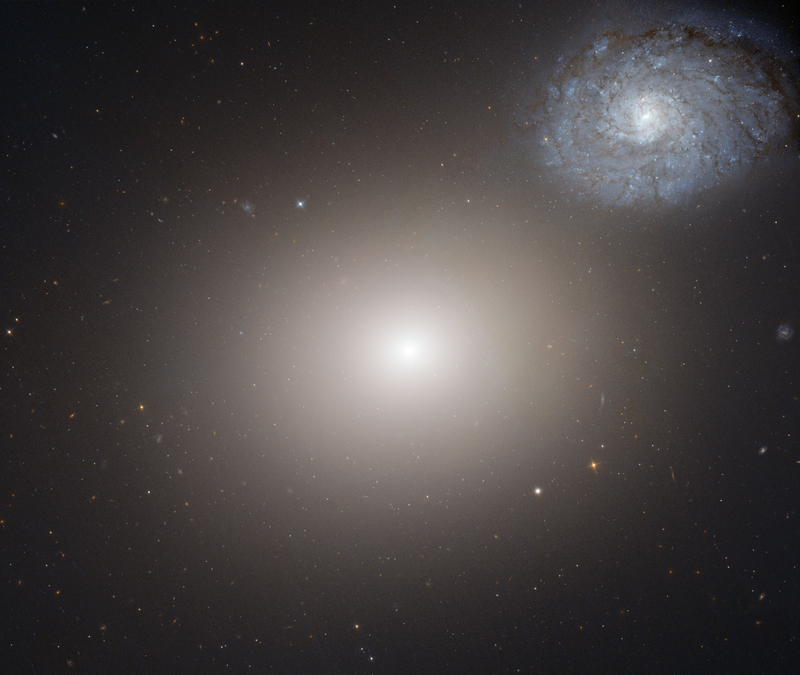 About 54 million light-years distant, bright M60's simpler egg-like shape is created by its randomly swarming older stars, while NGC 4647's young blue stars, gas and dust are organized into winding arms rotating in a flattened disk. Spiral NGC 4647 is estimated to be more distant than M60, some 63 million light-years away. Also known as Arp 116, the pair of galaxies may be on the verge of a significant gravitational encounter, though. M60 (aka NGC 4649) is about 120,000 light-years across. The smaller NGC 4647 spans around 90,000 light-years, about the size of our own Milky Way.